The Master Lock No. 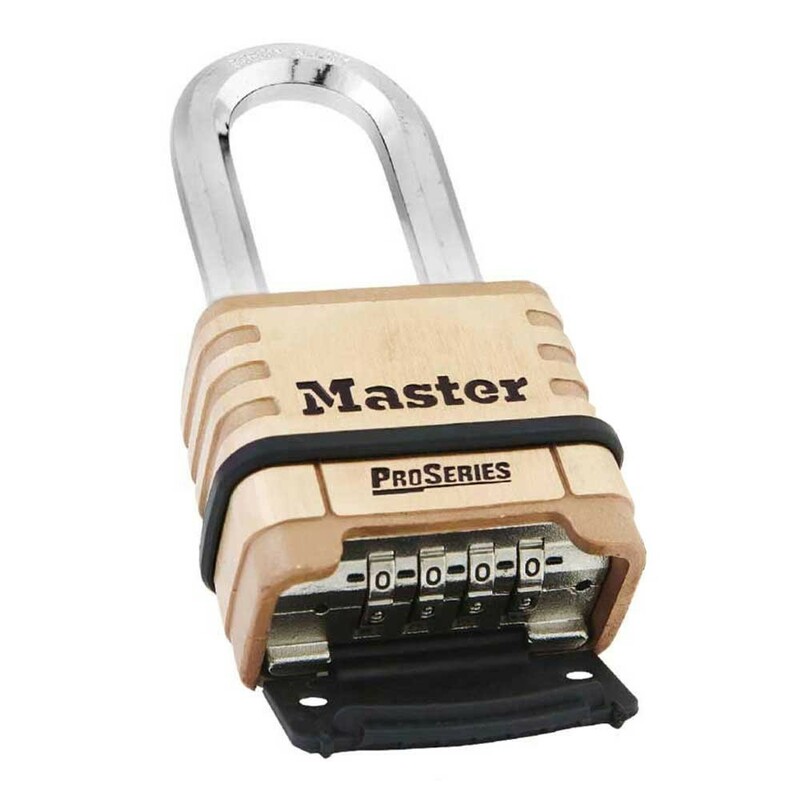 1175LH ProSeries Resettable Combination Padlock is designed for commercial/industrial applications and features a 2-1/4in (57mm) wide solid brass body for superior corrosion resistance and a 2-1/16in (53mm) tall, 3/8in (10mm) diameter octagonal boron-carbide shackle for ultimate cut resistance. A set-your-own combination feature offers convenience and security with 10,000 possible combinations - no reset tool required - and a deadlocking mechanism protects against prying, shimming and rap attacks. 2-1/16in (53mm) octagonal boron-carbide shackle for excellent cut resistance.